The Fletcher School at Tufts University in partnership with Mastercard released the Digital Evolution Index (DEI) 2017 last month, tracking the progress made by 60 countries in developing their digital economies and integrating connectivity into the lives of citizens. 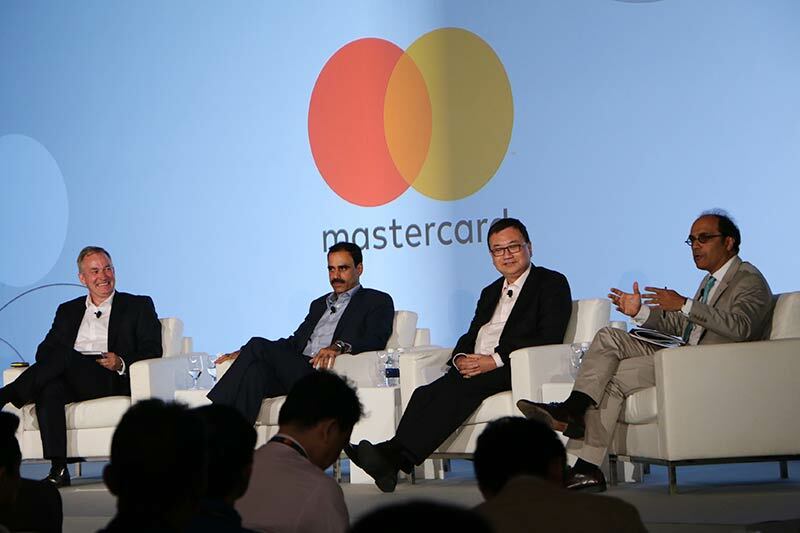 On July 31, we attended a panel discussion on the Index with Mr. Ajay Bhalla, President, Global Enterprise Risk & Security, Mastercard; Dr. Bhaskar Chakravorti, Senior Associate Dean of International Business & Finance, The Fletcher School at Tufts University and Principal Investigator for the report; and Mr. Leong Keng Thai, Deputy Chief Executive, Infocomm Media Development Authority (IMDA). This was followed by a chat with Dr. Chakravorti. In the DEI, Stand Out countries are those that are highly digitally advanced and exhibit high momentum in terms of the pace of change in their digital evolution. Singapore has been identified as not just a Stand Out nation, but as one of the three Stand outs among the Stand Outs (the other two being New Zealand and UAE). Each of the three has a unique policy-led digital strategy and a narrative that could be considered as worthy of emulation. Mr. Bhalla expressed for his admiration for the Singapore government’s vision, saying that the country has continued to innovate and change. “What started in Singapore has started moving out to countries like India where we see a lot of innovation happening now. Asia is becoming a leader in moving to digital economies,” he said. Singapore started on its technology journey over 30 years ago, setting up the National Computer Board in 1981 for transforming government through IT. (NCB was a predecessor of today’s GovTech. It merged with the Telecommunications Authority of Singapore (TAS) to become part the Infocomm Development Authority of Singapore (IDA) in 1999. Last year, IDA and the Media Development Authority were restructured to form GovTech and IMDA). Mr. Leong referred to the Committee for Future Economy (CFE) report released earlier this year on how Singapore ought to transform itself in the coming years, in view of the disruption which is happening almost on a daily basis now. In the CFE report, the fourth strategy is regarding digital capability. Mr. Leong said that digital capabilities are not just relevant for the technology sector, as technology today is horizontal. It is no longer a vertical and it is affecting all fields and industries, including traditional sectors, such as retail or construction. Today, people’s expectations are rising and they will continue to rise. How do you keep with that? Investments in technology infrastructure is a critical part. But it is going to be insufficient going forward. It will be about the services, the business models enabled by the infrastructure and technology platforms. Is smaller size an advantage? Has size been an advantage for countries like Singapore, Estonia and New Zealand? When asked the question during the panel discussion, Mr. Leong replied that small size is an advantage because it helps in the coordination and implementation of policies. But he added that small size poses a challenge, because digital economy is borderless. As a small nation, Singapore has to plug into the global ecosystem and develop trust in the digital economy. Without trust there is no digital economy and trust is not just domestic, it’s global. Trust is the single factor which will make or break digital economies. Sometimes it is said that government needs to get out of the way for innovation to thrive. But the DEI report finds that the governments play a significant role in most of the Stand Out nations. We asked Dr. Chakravorti about the role of government in creating a digital economy. Countries like Singapore, New Zealand and UAE are small, less complex nations with a very strong role of government and a strong policy underpinning their digital development. But in these countries also, governments don’t work alone. They work in collaboration with the private sector. Also, in China, or parts of Southeast Asia governments are helping accelerate the digital revolution. It’s a different story in Western Europe or North America. There the government largely played a role of providing a facilitating environment, by setting certain standards in place and making sure that there were laws and regulations that would inherently support innovation, and then get out of the way. These days there are additional dimensions where government has become critical. One is with regard to laws and regulations relating to data that emanates from a country. Data crossing political borders- how do you deal with that? How do you craft the rules and regulations relating to data, so that you strike a balance between the use of data in a responsible way and keeping the consumer information private? What about rules regarding localisation of data? “These are issues governments have to address,” he said. Also, governments are playing a role in enabling the cybersecurity environment of a country. DEI 2017 also incorporates ‘digital trust’, taking into account the trustworthiness of the digital environment for each country; the quality of users’ experience; attitudes towards key institutions and organizations; and users’ behavior when they interact with the digital world. There are four classifications: High Trust Equilibrium, with users that exhibit patient and engaged online behaviour combined with a more trustworthy environment and relatively seamless experience; Low Trust Equilibrium where low user trust is aligned with the less trustworthy and friction-laden environment; Trust Surplus, which have patient and engaged users despite high friction experiences and relatively less trustworthy environments; and Trust Deficit, where users tend to be less patient and fickle when faced with friction online though the experience and environment in general are similar to the High Trust Equilibrium countries. There is an interesting demographic aspect here. Younger people who are digital natives are willing to take more risks and to share their data at the same time. At the same time, they are more intolerant of frictions. Older people are more tolerant but also more cautious about trying technology or sharing their data. Trust is of high interest to all participants in the digital economy today, given the concerns about information security, cyber-attacks, and consumers’ apprehension about the reliability of digital systems, the growing dominance of a few companies or about the leaders of some of those companies. And it is not a national issue because the digital economy is inherently borderless and global in nature.